Rotary would like your help with disaster response. As many of you know, there have been two devastating natural disasters (Hurricane Michael and west coast wildfires) in different parts of the country recently. And because District 6600 Rotarians are so compassionate, many of you have reached out to me asking about how you or your Rotary club can help. The Rotary Board of Trustees is asking Rotarians to support our fellow Rotarians through contributions that will directly impact those communities in needs. 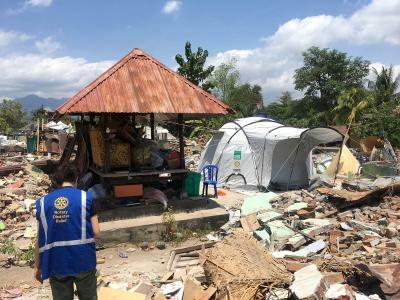 You can find links for various district and club projects that you can immediately donate towards at https://www.rotary.org/disaster-response. The individual campaigns are at the bottom of the the webpage. I’m honored to serve as the leader of just a generous and compassionate District, and I thank you in advance for your support.